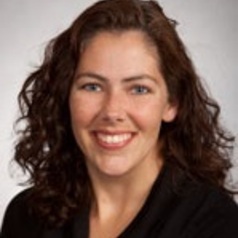 Laura is a researcher and staff physician in the VA San Diego Healthcare System and Assistant Professor at the University of California at San Diego (UCSD). She obtained her doctor of medicine (M.D.) from Duke University and attended Massachusetts General Hospital for Internal Medicine residency. She stayed on at Harvard for her Pulmonary and Critical Care fellowship training, before completing a post-doctoral fellowship at UCSD. She obtained a VA career development award via her research in asthma, and started on faculty at UCSD in 2011. Her clinical interests include critical care, asthma and COPD. Her research is diverse and includes host-pathogen interactions, molecular mechanisms of asthma, microbial pathogenesis in the lung, innate immunity in the lung, hypoxia inducible factor, and extracellular traps.